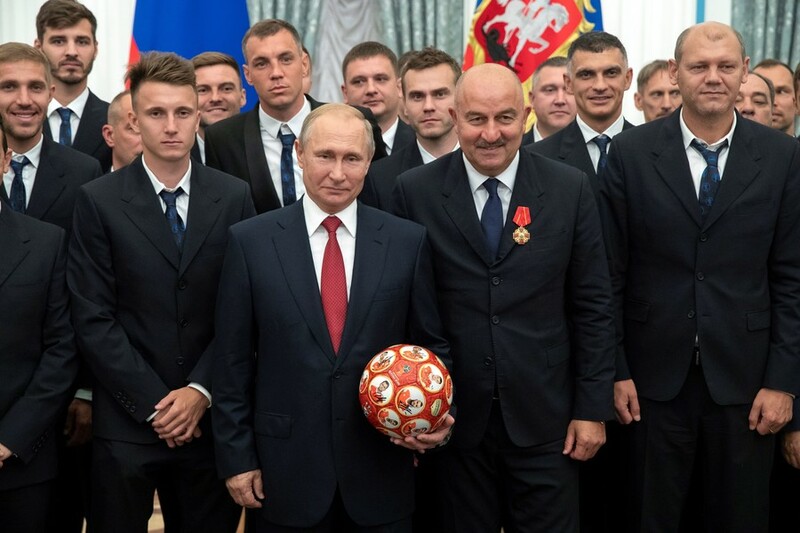 Russian national team coach Stanislav Cherchesov has joined in the mockery over claims in the US that a football recently presented to Donald Trump by Vladimir Putin could have been bugged. 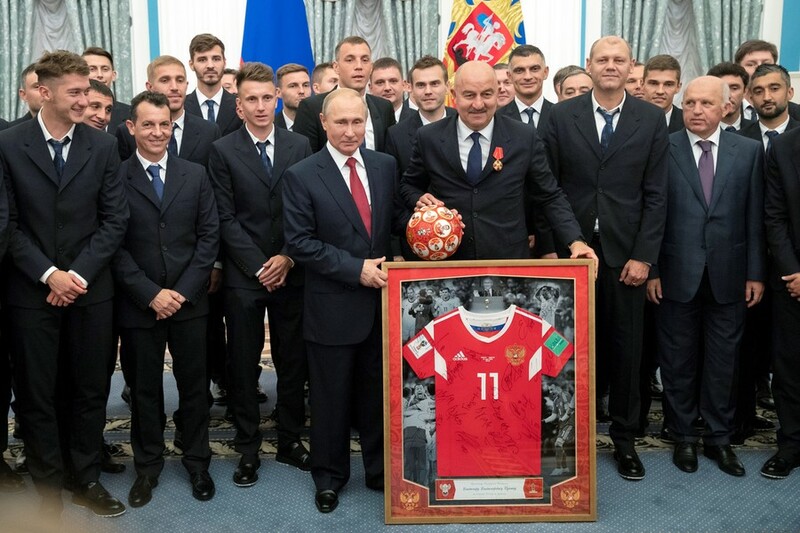 Cherchesov and the Russian team met Putin at the Kremlin on Saturday for a ceremony to honor their performance at the recent World Cup, where they reached the quarter-finals. The team presented the Russian president with a specially-made football as well as a shirt signed by all the players. Cherchesov joked after the ceremony that there was no danger that the ball presented to Putin had been surreptitiously fitted with a listening device – mocking claims in the US that a ball the Russian leader had given Trump in Helsinki earlier in July had been bugged. 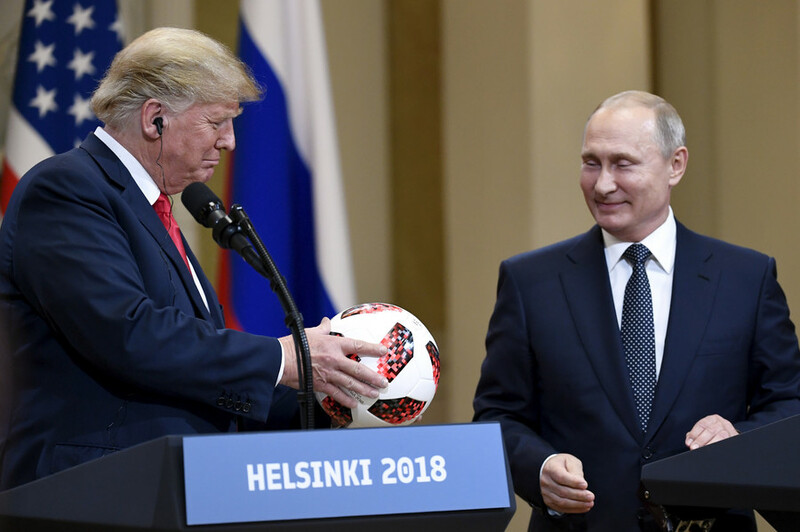 The Russian coach was referring to the ‘spy-ball’ claims made by some in the US after Putin had given his counterpart Trump a World Cup match ball at their summit in the Finnish capital. Russia successfully hosted the 2018 FIFA World Cup this summer, and Putin handed Trump the ball as he wished the US well as joint hosts of the 2026 edition of the tournament. That prompted some top-level bluster from the media and commentators in the US, who noted that the ball may have contained a transmitter chip. Special transmitting technology is in fact standard for this type of ball – although not of the Kremlin-designed type that many in the US would have feared. It actually comes as standard and allows the ball to be connected with smartphones within 4cm (1.6in) to allow match data to be shared. 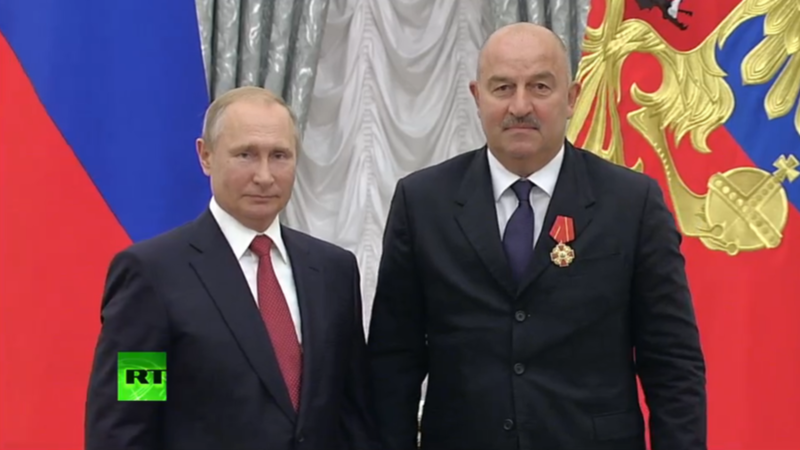 The hysteria was certainly not lost on Cherchesov though as he cracked the spy-related joke after the Kremlin reception. The coach received the prestigious ‘Order of Alexander Nevsky’ for guiding the team on their unexpected run to the quarter-finals, while goalkeeper Igor Akinfeev and defender Sergei Ignashevich were awarded the ‘Order of Honor’. The other team players and staff received special certificates to honor their achievements. For Cherchesov, a career in comedy beckons should he ever decide to give up the day job.